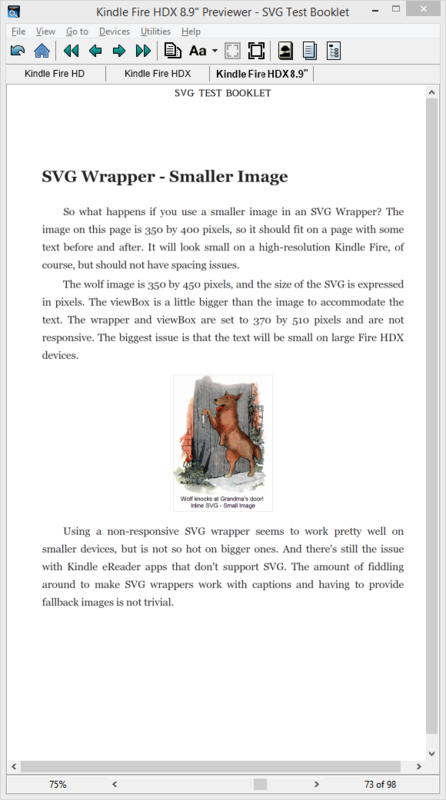 Finally, I wanted to see what would happen with a smaller illustration inserted using inline SVG with specific pixel dimensions for the outer div, the SVG element, and the image. 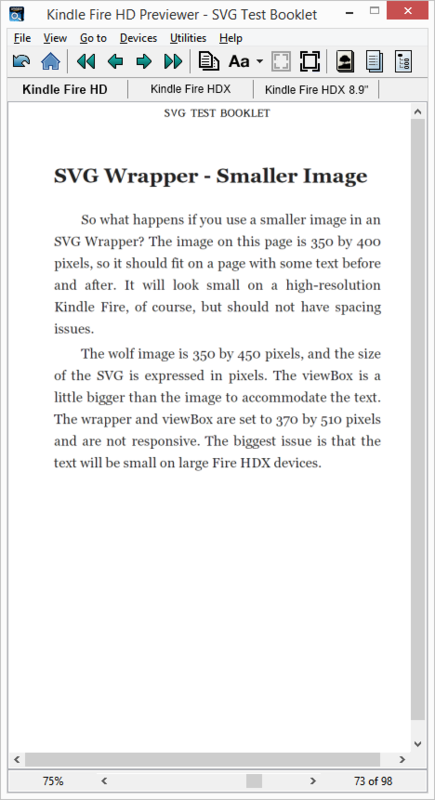 Although it doesn’t scale proportionately with the viewport, it can keep small images with their captions, and it does not create extra white-space. 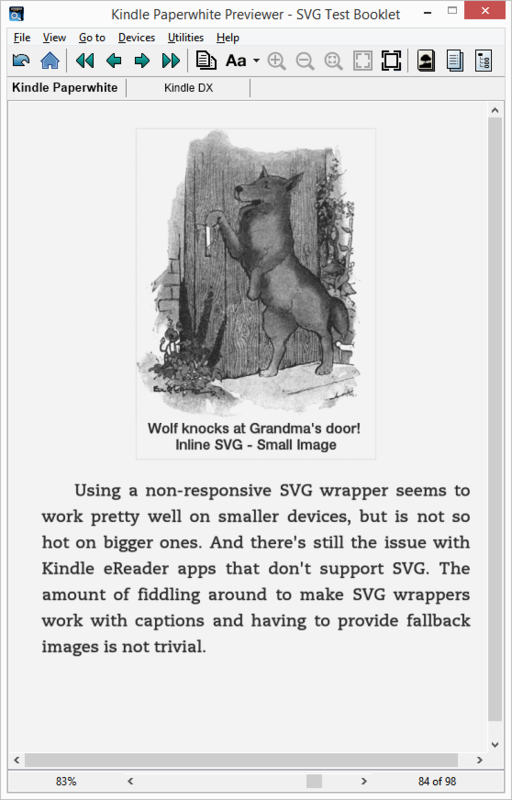 Not so bad, I think! 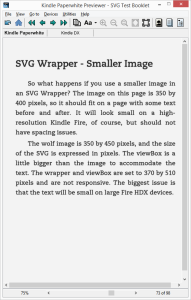 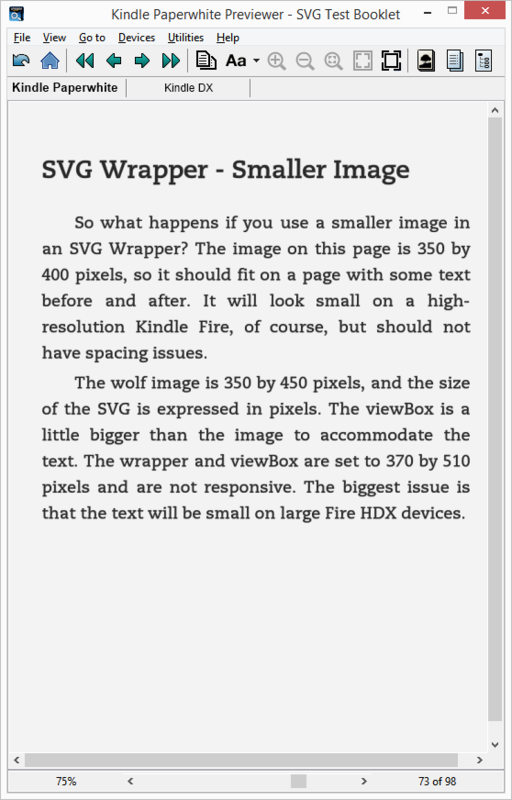 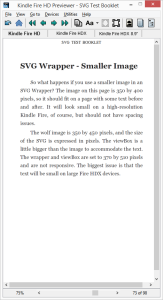 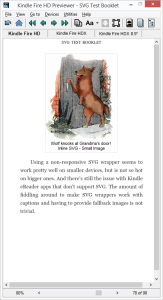 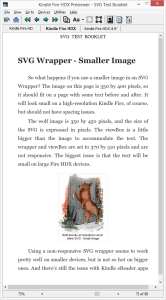 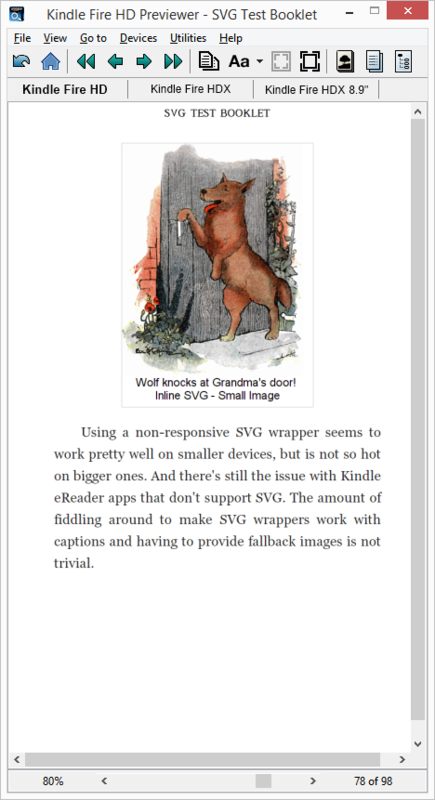 An alternate JPEG image is displayed in Kindle DX and other Mobi7 devices. Wolf knocks at Grandma's door!